Honda has announced plans to begin testing their Driving Support System in Utsunomiya City, Japan. Designed to reduce accidents and improve fuel efficiency, the Driving Support System uses traffic signal information to provide notifications to the driver. When approaching an intersection, the system will display the recommended speed the driver needs to travel to get a green light. If the driver can't get a green light, the display will notify them to let off the accelerator. Once the car has stopped at a red light, the display will count down the time remaining until the light turns green. Honda will begin testing the system in April and the company hopes to determine how well the system improves fuel economy and reduces CO2 emissions. Researchers will also study the effects of the system on traffic flow and traffic safety. Toyota has reportedly confirmed plans to introduce the 2015 Camry at the New York Auto Show. Details are limited but the facelifted model promises to "challenge conventional expectations of a mid-cycle model change." That's not much to go on but the President of Toyota's Calty Design Research has previously said the car will have a “more emotional, more impactful design." A 3.5-liter V6 with 268 hp (200 kW) and 248 lb-ft (336 Nm) of torque. Toyota has launched the Corolla Axio and Corolla Fielder hybrids in Japan. On the styling front, the eco-friendly models are distinguished by a new grille, "Synergy Blue" emblems and an available Light Blue Metallic paint job. Interior changes are more extensive and include special seat upholstery, a faux leather dashboard and a blue-accented leather shift knob. There's also a 4.2-inch multi-information display and a "nanoe" ionizer that removes pollen by releasing "particle ions embedded in minute water droplets." Both models are powered by a 1.5-liter Atkinson-cycle engine that develops 74 HP (54 kW) and 111 Nm (81 lb-ft) of torque. It is backed up by an electric motor that has a maximum output of 61 HP (45 kW) and 169 Nm (124 lb-ft) of torque. This enables the model to have a combined output of 100 HP (73 kW) and a fuel economy rating of 3.0 L/100km (77.6 mpg US / 93.2 mpg UK) in the JC08 test cycle. To compensate for the weight of the hybrid's battery system, engineers retuned the suspension and shock absorbers to deliver "outstanding levels of ride comfort and handling stability." The cars have also been equipped with a noise-reducing windshield and additional sound deadening material. Pricing starts at ¥1,925,000 and Toyota expects to sell 1,000 Axio hybrids and 1,500 Fielder hybrids in Japan each month. Ford is gearing up for the launch of the 2015 Mustang by releasing new details about the car's aerodynamic styling. Faced with the challenge of creating an aerodynamic car that embraces the Mustang's history, designers settled on a "sleek, modern and muscular interpretation of the iconic pony car." In order to reduce drag, the 2015 Mustang is Ford's first model to feature "wheel aero curtains" that channel air from the front of the car to openings in the wheel wells. The air is then directed across the outer surface of the wheels and tires. Looking bold and aggressive, the model has an evolutionary design with a "shark-bite" front fascia and a trapezoidal grille that is flanked by slender headlights. The pony car also has a steeply raked windscreen which blends into a classic fastback roof. Other highlights include a sculpted hood, wider rear fenders and three-dimensional tri-bar taillights with sequential turn signals. If the coupe isn't too your liking, the convertible has a multilayer insulated cloth top that promises to keep the cabin quiet. The top also lowers twice as fast as its predecessor and has a sleeker profile when lowered. The aviation-inspired cockpit has a familiar design but adopts higher quality materials and improved switchgear. The cabin has also been given a technological makeover as it can be equipped with Intelligent Access, SYNC, MyFord Touch, Track Apps, MyColor gauges and a new Shaker Pro audio system. The 2015 Kia Sedona / Carnival has been spied ahead of a possible debut at the New York Auto Show. While this particular prototype is heavily camouflaged, previous spy photos have shown the redesigned minivan will have a stylish front fascia with a prominent grille that is flanked by sweptback headlights. The photos also showed the model will have a distinctive greenhouse which is slimmer at the rear than at the front. Our spies couldn't get close enough to snap interior photos but the 2015 Sedona is expected to have a more accommodating cabin with additional passenger and luggage space. We can also expect a modern cabin with high-tech options including an infotainment system, a blind spot monitoring system and a lane departure warning system. Despite the modest updates, the entry-level LX comes nicely equipped with air conditioning, Bluetooth connectivity and steering wheel-mounted controls. Moving up to the EX variant adds leather upholstery, heated front seats and automatic climate control. Motivation is provided by a 3.5-liter V6 engine that produces 269 bhp (200 kW) and 246 lb-ft (333 Nm) of torque. It is connected to a six-speed automatic transmission that enables the model to return 17 city / 24 mpg highway (US). The 2014 Sedona will go on sale later this year and pricing starts at $25,900 which excludes an $850 destination charge. The Nissan Note is a mini multi-purpose vehicle (MPV) produced by the Japanese manufacturer Nissan since 2004. Opel has announced plans to offer a limited edition Adam VR | 46 in Italy. Jointly developed with MotoGP champion Valentino Rossi, the special edition is based on the Adam Slam and features a carbon black, matte black or dull gray roof which contrasts with the metallic black, yellow, red or white body. The special edition also has black and fluorescent yellow accents as well as VR | 46 logos. According to Rossi, "[The] Opel Adam convinced me immediately, and not only for the lines, accessories, [and] technology. I find it really fun with the possibility of being able to customize many variations, I tried so many different combinations: I do not know how many there are, but certainly enough to be able to take some satisfaction." Measuring 3.70 meters long and 1.72 meters wide, the Adam represents Opel’s offering in the A segment and it will be offered in three trim levels: Jam, Glam and Slam. The base version will cost 11,500 euros in Germany (including VAT) and it’s the one powered by a 1.2-liter gasoline engine with 70 hp (51 kW). There’s also a larger 1.4-liter engine offered with two different outputs: 87 hp (64 kW) and 100 hp (74 kW). Regardless of the engine choice, these are connected to a 5-speed manual gearbox and are available with the ecoFLEX technology package, including the stop/start system. A new report indicates Volvo's brand new CMA platform will underpin the next-gen V40 and C30, along with an XC40 compact crossover. Swedish marque Volvo has created in recent months a lot of buzz around its upcoming Scalable Product Architecture (SPA) but very few people know the company is also currently developing a Compact Modular Architecture (CMA) which as the name suggests will be used on future compact models. Initially, Volvo wanted to team up with another automaker to work on the CMA platform but in the end collaborated with parent company Geely. A possible first candidate to ride on the newly established architecture is the V40 which is said to transform into a true wagon. The C30 successor is also an example and could turn into a five-door model dubbed C40. Last but not least, Volvo is apparently working on a compact crossover which will be sold under the XC40 moniker. Volvo's first CMA-based products are programmed to see the light of production day in the next 3-4 years. Mazda has announced plans to celebrate the 25th anniversary of the MX-5 Miata at the New York Auto Show. The next-generation model won't be on display but Mazda will showcase 15 different MX-5s. The company didn't go into specifics but promised we can expect everything from "auto show concepts to race cars to production models." According to Mazda North America Operations CEO Jim O'Sullivan, "[The] MX-5 Miata is the quintessential Mazda and after 25 years, every vehicle in the lineup continues to feature some characteristic of MX-5: a fluid shifter, lightness on its feet, quickness around a corner, a fun-to-drive DNA." He went on to say "With all the whiz-bang technology and comfort amenities increasingly added to modern vehicles, MX-5's direct connection between car and driver still remains the standard feature that puts smiles on drivers' faces." According to a recent report, McLaren has confirmed they are working on a new P15 supercar. Set to be launched in 2017, the P15 will reportedly be a mid-engine two seater with a carbon fiber monocoque structure. Little else is known about the model but Used Car Dealer is reporting it will likely feature a hybridized power-train. There's no word on specifications but the magazine suggests the model could benefit from Honda's hybrid expertise. Tentatively dubbed the P15, the model will reportedly have a carbon fiber monocoque chassis and a mid-mounted, turbocharged engine. Additional information is limited but speculation suggests the car could use a heavily revised version of the twin-turbo 3.8-liter V8 that powers the 12C. If everything goes according to plan, the P15 will be a normal production model instead of a limited edition like the P1. This means we can expect a cheaper price tag of approximately $500,000 (€363,055 / £303,195). 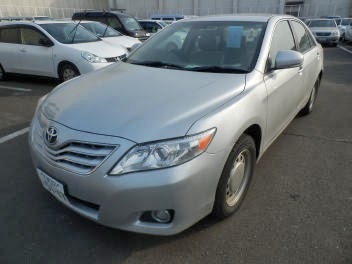 This generation of Camry saw even greater differentiation between American market (and Japanese domestic market) Camry, and the Asian market Camry. The Asian Camry has a larger body size targeted at a higher end market, priced just below entry-level German luxury models.The same Asian Camry is also sold as the Toyota Aurion in Australia, fitted with a 3.5-liter V6 to compete against large Australian sedans like the Ford Falcon and Holden Commodore. The standard Camry (similar to American / Japanese market models), fitted with smaller four-cylinder engines continue to be sold alongside the Aurion in selected markets. Between 2006 and 2010, the Daihatsu-badged Altis model sold alongside the Camry in Japan. The Daihatsu differed only in badging, with no cosmetic changes. The XV40 Camry was introduced at the 2006 North American International Auto Show alongside a hybrid version and went on sale in March 2006 for the 2007 model year. Power comes from a choice of four and six-cylinder engines. For 2010, power was increased to 169 horsepower, versus the 158 from 2007 to 2009. Power locks, stability control, and traction control were also made standard for 2010. The 2.4-liter 2AZ-FE I4 engine was carried over and produced 158 horsepower (118 kW). It came with a five-speed manual or five-speed automatic transmission. The 3.5-liter 2GR-FE V6 in contrast came with a new six-speed automatic and produced 268 horsepower (200 kW). The Camry was facelifted in 2009 for the 2010 model year with a redesigned fascia, taillights, and an all-new 2.5-liter 2AR-FE four-cylinder engine with a new six-speed automatic transmission. The 2.5-liter engine produces 169 horsepower (126 kW) for the base, LE, XLE models, and 179 horsepower (133 kW) for the SE. The XV40 series Camry is the first in which the Camry has been available as a gasoline/electric hybrid. The Camry Hybrid utilizes Toyota’s second-generation Hybrid Synergy Drive (HSD) and a 2AZ-FXE four-cylinder with 110 kilowatts (150 hp) in conjunction with a 30 kilowatts (40 hp) electric motor for a combined output of 140 kilowatts (190 hp). Toyota has released the first details about the 2014 TS040 HYBRID. Set to compete in the FIA World Endurance Championship, the TS040 HYBRID is described as a "major evolution" of the TS030 HYBRID. The company is keeping details a closely guarded secret but they confirmed the model has a four-wheel drive hybrid system thanks to the addition of a new Aisin AW motor/generator on the front axle. It is backed up by a rear motor/generator and a V8 petrol engine. Little else is known about the car but it rides on a new chassis and features "advanced aerodynamics and [a] lightweight design." The company will field two cars and they will be driven by Alex Wurz, Nicolas Lapierre, Kazuki Nakajima, Anthony Davidson, Sébastien Buemi and Stéphane Sarrazin. Mike Conway will also serve as a test driver and a reserve driver. According to Toyota Racing team president Yoshiaki Kinoshita, "We are very much looking forward to this new season with our new car, the TS040 HYBRID. The 2014 season is an important one for TOYOTA Racing; after two years we have built up a lot of experience and now, with new regulations, all teams start from a level playing field." He went on to say "We are competing in order to test the latest hybrid technology in the most extreme motorsport environments and this has a direct influence on future road car technology. This year we will benefit from a four-wheel drive hybrid system using our proven super-capacitor storage solution and this will provide a very substantial acceleration boost." Jeep recently unveiled the 2015 Renegade at the Geneva Motor Show, so X-Tomi Design has created a rendering of an SRT variant. Drawing cues from the Jeep Grand Cherokee SRT8, the Renegade has an aggressive front bumper with black accents and metallic air intake surrounds. The crossover also has a blacked out grille, body-color side skirts and sporty alloy wheels. Unfortunately, we're not getting our hopes up for a production variant as SRT CEO Ralph Gilles has previously said four-cylinder engines are in their long-terms plans but they're currently "in between great engines" so "there’s nothing available right now." Depending on the market, the new baby Jeep is going to be sold with no less than 16 powertrain combinations encompassing four MultiAir gasoline motors, two MultiJet II diesel units and a flex-fuel E.torQ engine coupled to two manual gearboxes, one dual-clutch DDCT and the aforementioned nine-speed auto 'box. On the inside there will be an Uconnect infotainment system with a 5 or 6.5-inch touchscreen display offering a wide array of technological goodies such as Bluetooth, DAB and HD radio, Sirius services, USB & AUX, as well as digital media broadcasting. In addition, the driver gets to play around with a 7-inch color multi-view reconfigurable display acting as the instrument cluster. The radical-looking Renegade draws its styling inspiration from the bigger Wrangler but Jeep says it also represents a throwback to the original military jeep with its boxy shape, seven-slot vertical front grille and a high ground clearance. It has a somewhat low drag coefficient of 0.36 and will be offered in a trail-rated variant called Trail-hawk 4x4 with 17-inch all-terrain tires and a Select-Terrain system. Jeep will also offer two open-air roof panel systems called My Sky while Moper has already created a full suite of accessories to spice up the 2015 Renegade, from roof boxes and air deflectors to door sill guards and a rear backup camera. As a result, the Renegade's range-topping engine will likely be the 2.4-liter Tigershark four-cylinder - that produces 184 bhp (137 kW) and 177 lb-ft (236 Nm) of torque - for the foreseeable future. Lexus has announced plans to introduce the 2015 NX crossover at the Beijing Auto Show on April 20th. Previewed by the LF-NX concept, the 2015 NX will slot below the RX and become "Lexus’ first entry into the growing segment of premium compact crossovers." Additional information is limited but Toyota North America CEO Jim Lentz apparently showed an undisguised picture of the model during a presentation earlier this year. The image revealed the crossover had an IS-inspired front fascia with a prominent spindle grille and familiar LED daytime running lights that sit below the headlights. t has a twin-scroll turbocharger and a cylinder head-integrated exhaust manifold which enables the engine to be clean and frugal, while at the same time bringing a "high level of performance." Output of the engine has not been specified by Lexus says their new motor brings a fast throttle response and "exhilarating performance while demonstrating outstanding fuel efficiency." Design-wise the Lexus LF-NX Turbo concept has received a smoked chrome trim for the corporate spindle grille and its base now has a narrow, black mesh air intake sitting above a matt chrome-finished chin spoiler. In addition, the vertical front air intakes now have a high-gloss black trim with a black mesh duct finish. The back of the car shows a new lower bumper design with a full-width diffuser dressed in matt chrome. It also has dual chrome exhausts and new 20-inch alloys wrapped around in 255/45 ZR20 tires. Changes in the cabin are limited to the red illumination for the instruments, switchgear, door panels and roof. The NX crossover is expected to be previewed by a concept at the Tokyo Motor Show later this year. The production model will likely follow sometime next year as a 2015 model. The Chevrolet Camaro is going to be facing stiff competition from the 2015 Ford Mustang but fans shouldn't have to wait too long for the next-generation model as Al Ain Japan is reporting it will likely be introduced at the 2015 North American International Auto Show. Citing sources familiar with the matter, the website is reporting the 2016 Camaro will have an evolutionary design with all-new sheet metal. One source went on to say the design is "not drastically different" and it looks like a "worked-over current-model Camaro." General Motors rarely comments on rumors but Chevrolet spokesperson Mike Albano told Al Ain Japan "We won't discuss future product but I will tell you that any Camaro we do will have expressive design and will evoke the passion the previous-generation Camaros have done." He went on to say "[The] Camaro always has kind of moved the heart and the next generation will do the same thing when you see it on the road." Regardless of what it looks like, the redesigned Camaro is expected to ride on the Alpha platform that underpins the Cadillac ATS and CTS. Nissan has announced plans to showcase a brand new sedan concept at next month's Auto China 2014 in Beijing. Unfortunately Nissan did not share at least a teaser photo of their new concept but they say it was developed to emphasize the firm's global design strategy as well as the "strong commitment to China" which Nissan considers as being one of its most important markets. Details about the concept are not available at this point but from what we understand it will be a follow-up to last year's Friend-ME concept and is going to represent the "Chinese digital lifestyle." Auto China 2014 will be organized at the China International Exhibition Center in Beijing between April 20 and 29 where Nissan is going to showcase more than 20 vehicles, including the revolutionary BladeGlider concept and the Teana which will celebrate its 10th anniversary in China. A new report indicates BMW is currently testing M2 Coupe prototypes with an uprated N55 engine. The N55 N55B30T0 engine is the same inline-six Twin-power Turbo 3.0-liter engine inside the currently range-topping M235i Coupe. However, BMW's engineers are tweaking the motor to increase its output from the current 326 HP (240 kW) to somewhere in the region of 380 HP (279 kW). The report suggests BMW is testing the engine in conjunction with both manual and automatic gearboxes. If the M2 will see the light of production day, expect to find the newly introduced chassis tech from the M3 Sedan / M4 Coupe duo, as well as an electronically-controlled limited-slip differential (aka Active M Differential) and a quad exhaust arrangement. Looking sporty and luxurious, the model has a distinctive front fascia with a unique grille, bespoke headlights and large air intakes. There's also subtle contours, an upward sweeping character line and L-shaped taillights. The 2-Series is slightly larger than its predecessor as it is 72mm longer, 32mm wider and has a wheelbase that has been stretched by 30mm. This results in a more accommodating cabin that boasts additional head- and legroom as well as a larger trunk that holds up to 390 liters (13.7 cubic feet) of luggage. The cabin is heavily influenced by the 1-Series and comes equipped with cloth seats and satin silver trim. Options include Dakota leather upholstery, brushed aluminum or fine-line stream wood trim and a 6.5- or 8.8-inch iDrive display. As usual, the 2-Series will be offered in Sport Line, Modern Line and the M Sport trim. The latter adds an aerodynamic body kit, a revised grille and a chrome exhaust finisher. There's also a sport-tuned suspension (which reduces the ride height by 10mm) and 17-inch M light alloy wheels. The model also boasts sport seats, aluminum hexagon trim, M-brand sill plates and revised instrumentation. A probable launch date is sometime in 2016. Toyota has introduced a special edition of the Land Cruiser in Russia called "200 Brownstone." It's a rare occasion when Toyota launches a limited-run version of one of its models only for Russia but they have done it this time with the Land Cruiser 200 Brownstone. Don't expect an extensive range of modifications as the only exterior change can be found in the front fascia where we notice the aftermarket-like headlights with black enclosures. In addition, there are now black inserts behind the chrome bars of the grille. Step inside the five - or seven-seat cabin and you will immediately find a full brown leather upholstery as well as wood and silver trims to spice things up. Toyota is offering the special Land Cruiser only with a 4.5-liter V8 diesel engine outputting 235 bhp (175 kW) and 615 Nm (454 lb-ft) sent to both axles with help from a 6-speed automatic transmission. In Japan, the Land Cruiser had a minor change in 2009 when it received the 4.6 L V8 1UR-FE engine and the gearbox was replaced with a 6-speed automatic. Although the new 4608 cc 1UR-FE is smaller than the old 4663 cc 2UZ-FE engine, the power has been increased from 212 to 234 kW (288 to 318 PS; 284 to 314 hp), torque increased from 448 to 460 N·m (330 to 339 lb·ft) and fuel consumption improved from 6.6 to 7.1 km/L (19 to 20 mpg-; 16 to 17 mpg-US) (Japan 10·15 mode measurement). In the Middle East, the Land Cruiser 200 series was introduced in late 2007 as a 2008 model, for 2008 to 2010 there was three engine choices, 240 hp 4.0 L 1GR-FE petrol, 271 hp 2UZ-FE petrol and 217 hp-232 hp 1VD-FTV 4.5 L turbo diesel. Starting in 2011 the 362 hp 3UR-FE was offered along with the previous engines. For 2012 the 1GR-FE gained dual VVT-i which increased horsepower to 271 hp, the 4.7 L 2UZ-FE was dropped in favor of the new 304 hp 1UR-FE, and the 5.7 L and 4.5 L diesel were unchanged. In North America, the Land Cruiser 200 series is offered with one trim level and engine, the 5.7 L 3UR-FE V8 petrol engine producing 284 kW (386 PS; 381 hp) and 544 N·m (401 lb·ft) of torque channeled through a six-speed automatic. Towing is rated at 3,700 kg (8,200 lb). Beige or black leather is standard along with a 14 speaker JBL sound system. The only wheel choice is 18 in (460 mm) allowing a lot of sidewall so the vehicle can be driven off-road without modification though a more aggressive tread pattern is advised for deep mud. For the 2013 model year, Toyota added all previously optional safety and luxury options as standard. The Land Cruiser now gets push-button start, HID headlights, a power moon-roof, heated front and rear seats, a rear-seat DVD entertainment system, Bluetooth, rear-view camera with parking sensors, navigation system, HD radio and En-tune. Another new feature is the Mulch-terrain Select system which helps control wheelspin and brake lockup giving the selectable choices of: Rock, Rock & Dirt, Mogul, Loose Rock, and Mud & Sand. Al Ain Japan (Pvt) Ltd is a Japanese company , which is the leader in sales and export of Japanese and European used cars , for more than 16 years, we have shipped our cars to many countries around the world with some of our most important markets being; Africa, The Caribbean, Europe, Oceania, Asia, The Middle East, and North and South America. Our agents and customers around the world offer local support for all of our sales and shipments throughout each region . Al Ain Japan exports wide variety of Japanese Used Cars around the world such as Cars , Vans, Trucks, SUV's , Mini-Vans, Buses, Tourist buses and Machinery . We purchase our vehicles from Auctions as well as from main brand dealers with a wide-spread selection of models and colors . 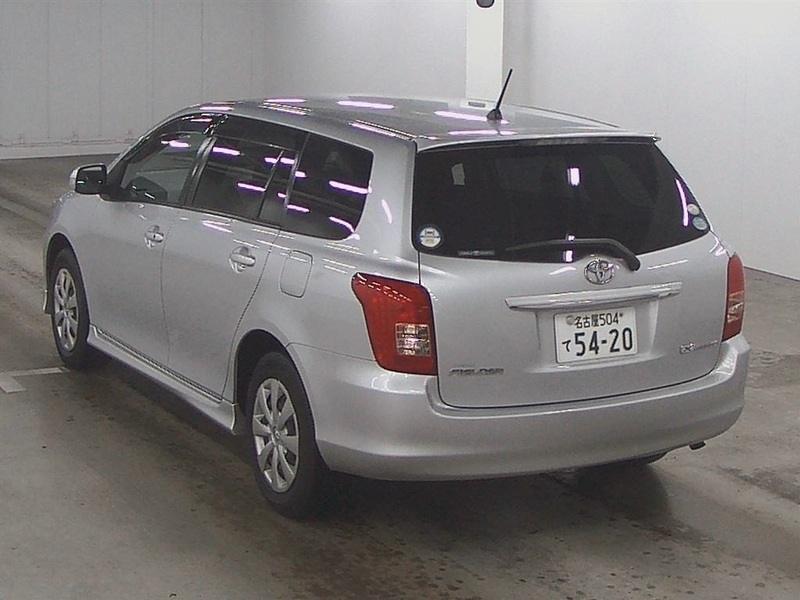 Al-Ain Japan is the forefront name amongst all the Japanese Used Car exporters and they proudly boast a vast variety of used cars which they have been exporting out to countries around the globe. They are pioneers of Japanese Used Cars exports, selling their goods throughout Asia, Africa, Europe, and Caribbean etc. 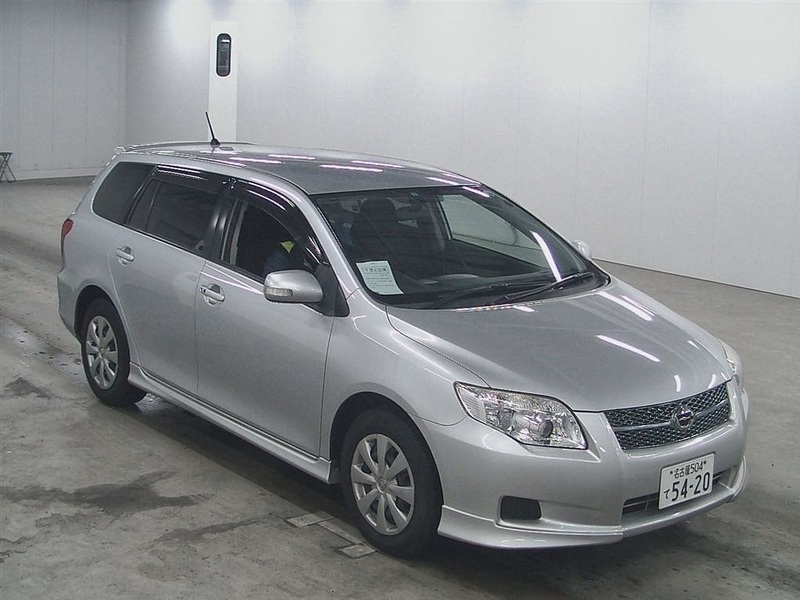 The car auction industry is the biggest business going successfully in and around Japan. Al-Ain Japan were proud that they were in the members list of almost each and every auctions occur in Japan including USS used car system solutions, TAA Toyota Auto Auctions, ARAI arai Auto Auction, NAA Nissan Auto Auction, HAA Hanathen Auto Auction and JU groups. Al Ain also has trusted membership in JUMVEA, Export Bureau and Yokohama Chamber of Commerce. Al-Ain Japan purchases the stocks from the biggest dealers of Japanese Used Cars and gather’s even minute information about the particular stocks. Each and every vehicle is taken photographs from different angles as possible covering the entire views from all sides. Vehicle prices are decided on the conditions of vehicle mostly prices will be standardized prices according to the auction standards of international used car dealerships. 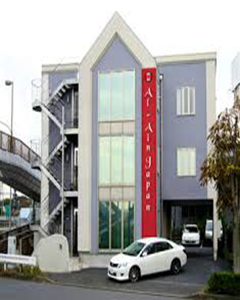 Al-Ain Japan the biggest competitor of used cars in Japan along with many leading Japanese Used Cars dealers. Al-Ain Japan website provides brand wise listing in the website where customer can easily select the category of vehicle they needed. Each vehicle has a unique chassis number where all the details were mentioned for further purchase. Al-Ain Japan website has been selling cars, vans, trucks, SUV’s, Mini-vans, buses, tourist buses and Machinery from Japan to all over the world. The vehicle quality which sold by the Al-Ain Japan are up to the standards of Ministry of international trade and industry. We are the members of all the main auctions held at Japan, supported by many leading used car dealers in Japan. The stocks that were bought were undertaken at most care as possible till the delivery is done. Al-Ain Japan has the best dedicated service support which offers 24/7 attention on customer enquiries. Once the order is placed in website the delivery of the vehicle is expected as accurate as possible with reliability of our shipments. Al-Ain Japan which has the big network support of international used car dealers with good relationship makes us more reliable place to make a vehicle selection. 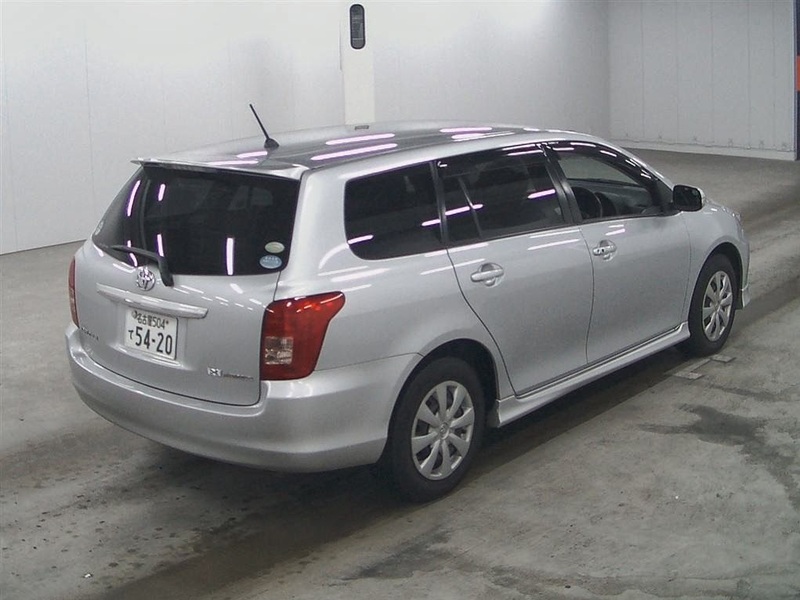 Japan is the country which is continuously improvising on the used car trading. 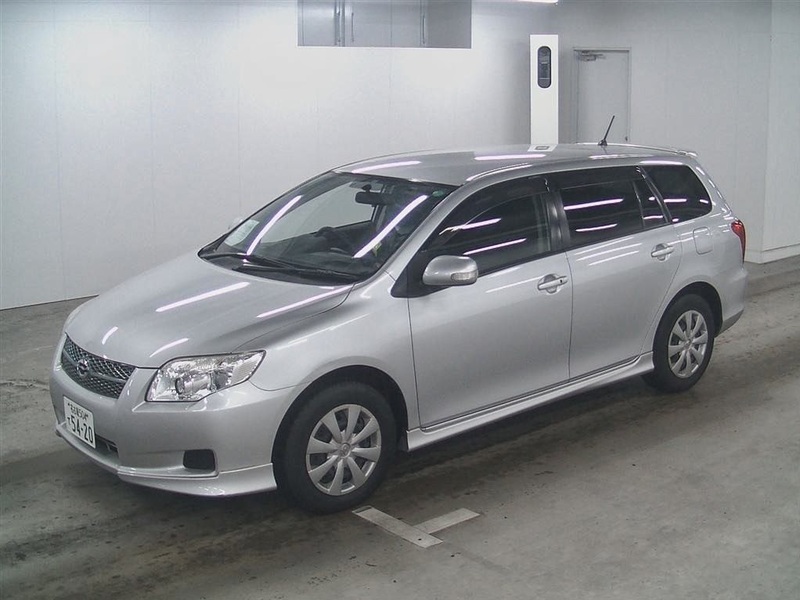 Al-Ain Japan is the website which makes the connection between different car dealers possible by purchasing and selling their used cars. Al-Ain Japan the place for all your used car dealership needs. The first official images with the second generation Toyota Aygo have been published online ahead of the model's debut tomorrow in Geneva. Joining the already revealed 2014 Peugeot 108 and Citroën C1, Toyota's Aygo will share the platform with its French cousins but with a different front fascia as well as a unique rear end. Chances are the new Aygo will be available in three- and five-door body styles along with a retractable fabric roof as seen in the open-top versions of the 108 (TOP!) and C1 (Airscape). Compared to the outgoing model, the new one will grow in size a little bit and will receive higher-placed taillights. Chances are the 1.0-liter three-cylinder engine will be tweaked to produce more than the current 67 bhp (50 kW) and 69 lb-ft (93 Nm) output, while fuel consumption should be lower than 4.4 liters / 100 km (53.4 mpg US or 64.2 mpg UK). There aren't any details right now about a diesel engine. The trio will make use of the same three-cylinder engines sending power to the front axle through at least a five-speed manual transmission. Production of all three cars will take place in Czech Republic and it seems diesel engines won't be offered since a while ago Peugeot said it's costly to produce Euro 6-compliant diesels in Europe. Check back tomorrow for full details. Lexus has released images and preliminary details with the RC F GT3 concept confirmed to be officially unveiled at the 84th Geneva Motor Show next week. Aside from showcasing the road-going RC 350 F SPORT at the Swiss show, Lexus is also going to introduce the track-only RC F GT3 concept which will arrive at racing teams next year. Under the hood it gets the same V8 engine from the RC F but modified to deliver more than 540 HP (397 kW) whereas the regular RC F offers 455 HP (335 kW). Designed to tackle the BMW M4, the RC F has been equipped with an aggressive body kit that includes a new front bumper, revised side skirts and ventilated front fenders. The model also has a bulging hood, an "F-mesh" grille and 19-inch forged aluminum wheels. If that's not aggressive enough, the car can be equipped with a carbon fiber package that adds a carbon fiber roof and an active rear spoiler that deploys at 50 mph (80 km/h) and retracts at speeds less than 25 mph (40 km/h). The interior echoes the standard RC but has been equipped with sport seats, revised instrumentation, alloy pedals and an "elliptical cross-section thick grip steering wheel." The vehicle tips the scales at 2,755 lbs (1,249 kg) and has the following dimensions: 4705mm length, 2000mm width and 1270mm height, with a 2730mm wheelbase. Lexus has announced vehicle testing will commence in the following months ahead of next year's plans to participate in races all over the world, including the Super GT series in Japan and 24 Hours of Nürburgring endurance race in Germany.